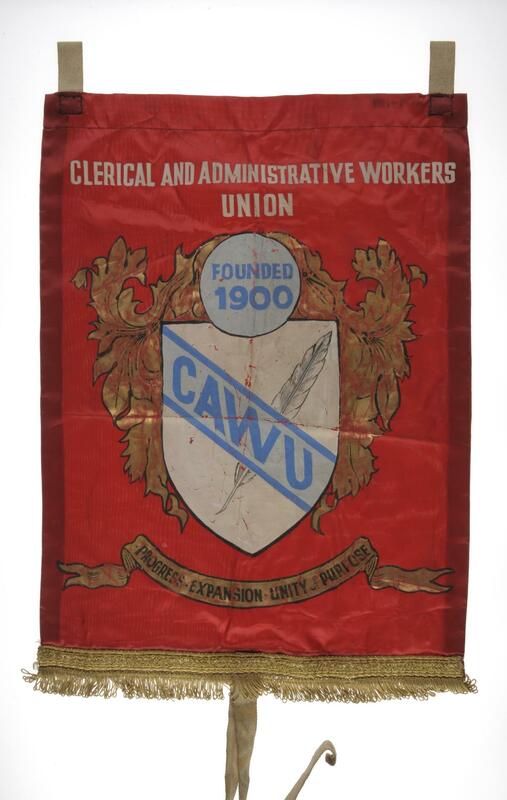 Clerical and Administrative Workers Union bannerette. "PROGRESS, EXPANSION, UNITY OF PURPOSE". At the top of the shield a light blue disc inscribed in dark blue "FOUNDED 1900". In 1940, the Association of Women Clerks and Secretaries transferred to NUCAW and a new title was agreed: The Clerical and Administrative Workers Union.